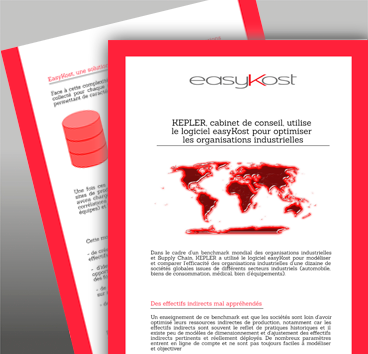 The consulting firm KEPLER uses the easyKost software to optimize industrial organizations. KEPLER used the easyKost software as integral part of a global benchmarking effort with in scope the manufacturing and supply chain organizations of a dozen global companies belonging to various industrial sectors (automotive, consumer goods, medical equipment). KEPLER used the easyKost software to model and compare the effiency of the companies in scope. 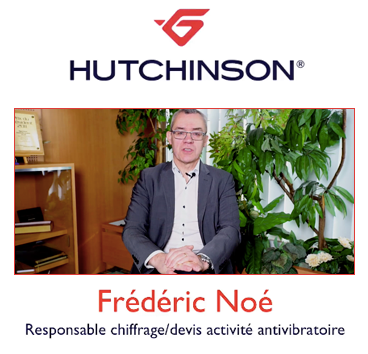 Frédéric Noé témoigne de l'utilisation d'easyKost au sein de la société Hutchinson et des bénéfices obtenues.